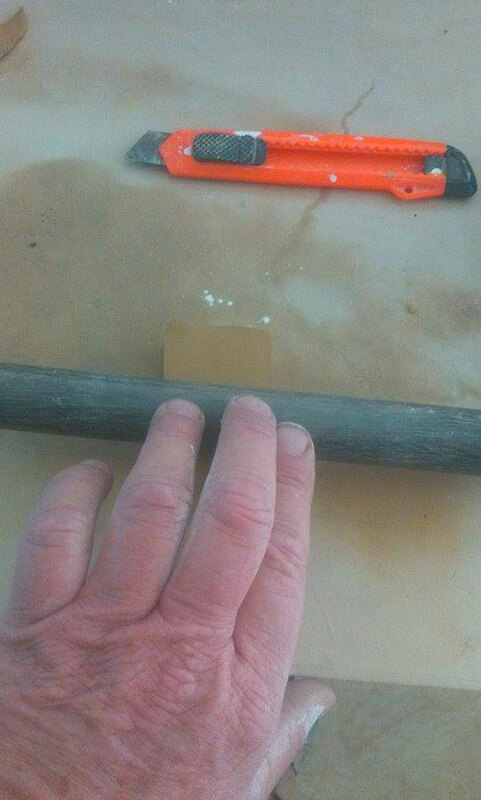 Clay is wonderfully pliable, which is why I and so many others are so hooked on it. In some of my previous newsletters I have written about using glazes to create colour and pattern. If you want a quick recap you can find these articles in ‘A Potters Journey’ on my blog. Textured clay works fantastically well with a glaze, no need for expensive or complicated gadgets here, the simplest of found items can be used to create detailed and intricate patterns. All you need is imagination and patience. The following technique is widely used and is straightforward,a simple method of creating texture and detail by using a ready-made stamp to emboss the surface. 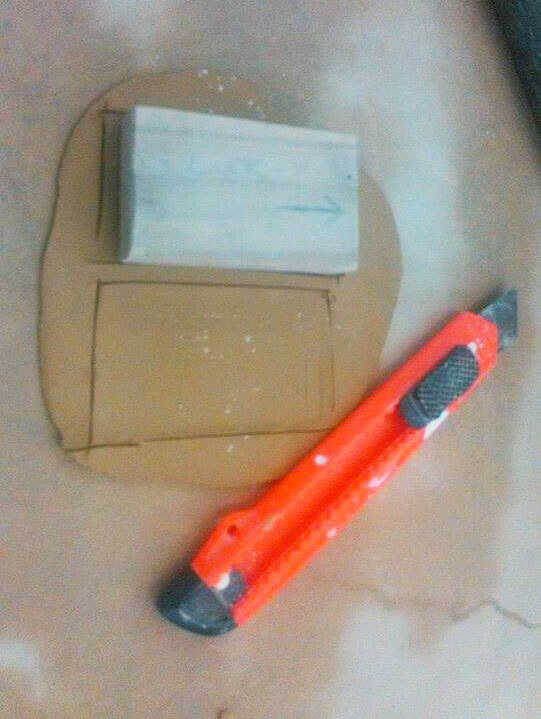 Wooden or rubber print blocks work equally well. I’ve used a Vietnamese good luck stamp on some of my salad bowls. It wasn’t intended for use on pottery, but I tried it out and loved the result. A stamp can be applied directly or indirectly to your wares. Applying a stamp directly can be complicated, and there is a risk of distorting your piece or weakening the wall. In the case of my Vietnamese stamp, I applied it indirectly. Roll out a thin slab of clay, turning it over from time to time, so as to prevent it from sticking to the work surface and rolling pin. Now cut the clay slab to sizes, enough for a few stamps, dip the stamp into cornflower to stop it from sticking to the clay and roll the clay over it applying slight pressure with your rolling pin or wooden dowel (using talc or other glaze materials for dipping your stamp is fine too and might create some interesting glaze effects). Gently peel the slab of the stamp, making sure it doesn’t tear, cut it to size, place it on the pot and gently mark around it. 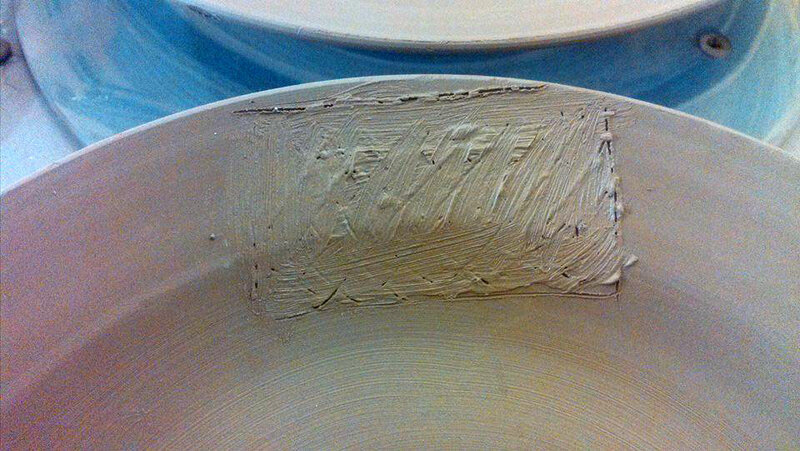 Now put your stamped clay aside, score the area within the markings on the pot and apply slip to it and the back of the stamped clay. Reapply the slab and join it to the pot by very gently tapping it from the centre outwards in all directions. . Be sure that the edges adhere tightly to the surface of the piece, so that the ‘stamp’ doesn’t peel away during drying and firing, remove any excess slip from the edges with a small paint brush or wet finger and carefully smooth the area. The only way to learn about which ceramic glazes work for you is to test them. The idea is to study what happens when you mix various amounts of various ingredients in a glaze and fire them to various temperatures. It’s about understanding how different materials affect each other in order to be able to achieve the results you want, and to troubleshoot when the results are really not what you want. Sounds confusing? Well yes, and certainly not great for those of us who avoided chemistry at school because, in essence, this is known as ‘glaze chemistry’ which is complex and at times intimidating. A) Mixing commercial stains into engobes, as I do with colouring oxides. B) Mixing stains into my own glazes. C) Using coloured commercial brush-on glazes over my own glazes. D) Using low-temperature glazes over a high-temperature matt glaze in the hope that they would run down and blend into the base glaze. I’d like this tale to have a happy ending, but I’ve not yet solved this chemical conundrum. However, I must emphasize that it’s vital to keep all test results. Even if they are not what you’re looking for at the time, this little bit of research may lead you to what you are looking for later on. In past newsletters I’ve touched on some pottery basics – clay, turning, firing, and even glazing. But my glazing skills have really been put to the test in recent weeks as I grapple with trying to work out new methods for my current project. What might seem straightforward in the world of colour is extremely complex in the world of glazing. The glaze is the final layer, the coating that fuses with a ceramic item in firing, intended to colour, decorate, strengthen and waterproof that item. 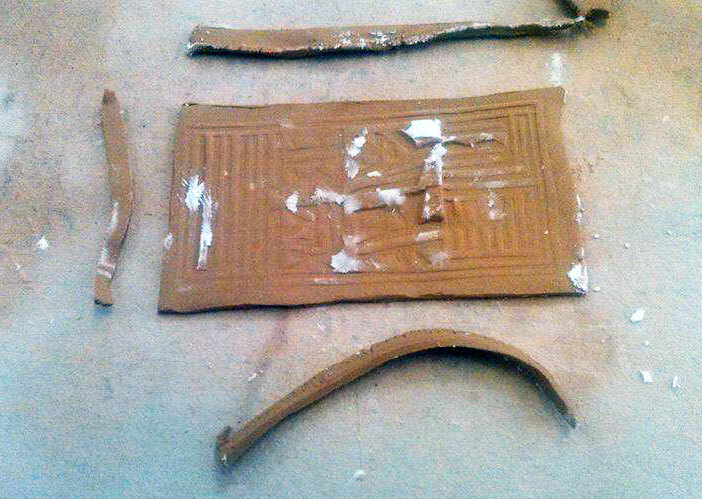 As a rule, glazes can be classified into two types: those that are fired at low temperatures – up to 110° centigrade – seal and waterproof the clay, and are also decorative; and those that I use, fired at high temperatures – at least 120° – which are absolutely impermeable, amalgamating with the surface of the clay to improve the quality of the finished article. They also have a strong aesthetic element. I prepare my own glazes, and they are what give my pottery its unique character. 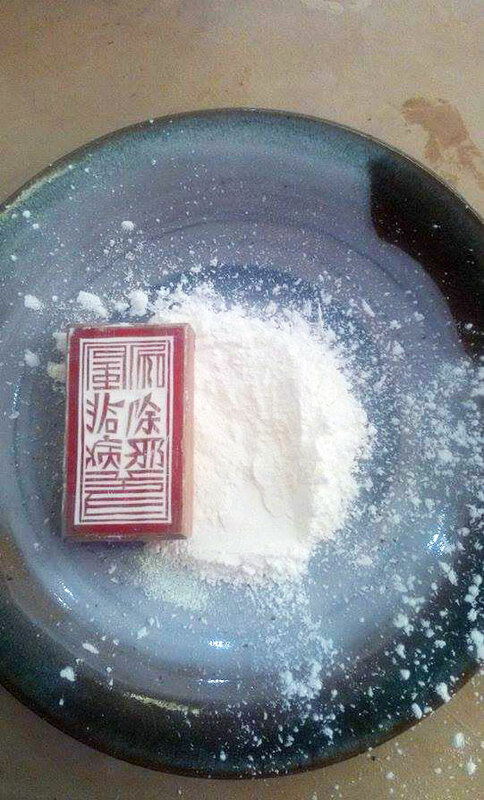 Raw glazes are compounds of silica, minerals, and metal oxides, and are applied in various ways, mainly by dipping the item into a glaze solution or by applying it directly, either with a brush or by spraying. If the firing temperature is too low, glazing will not be uniform, and if it doesn’t fit properly, it’s like a badly made item of clothing – too big or too small. 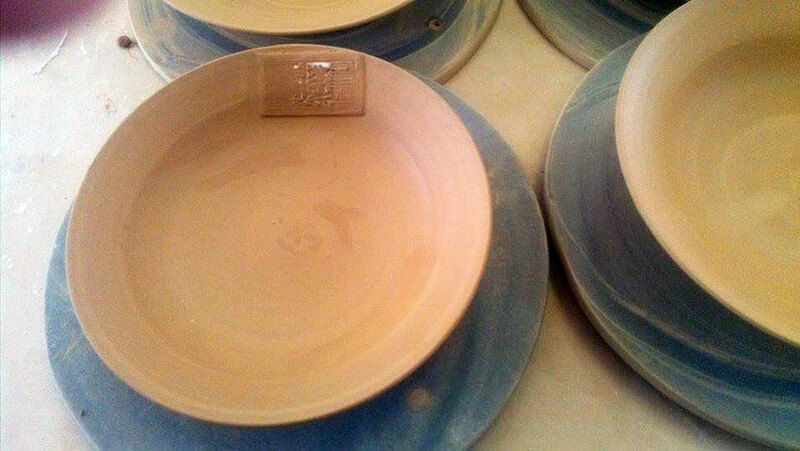 If the firing temperature is too high, the glaze will run. If poorly applied, the glaze will blister, be uneven, and can also fail to adhere. and lastly, there are kiln accidents – items stick together, power cuts create havoc, and small pieces of debris cause imperfections. Essentially, patience and determination are what you need. Good work is often lost when experimenting, but when you finally get it right – it makes up for everything. In a recent newsletter I briefly highlighted the art of throwing, so I thought it would be good to continue with a little more technical information, this time about lids. 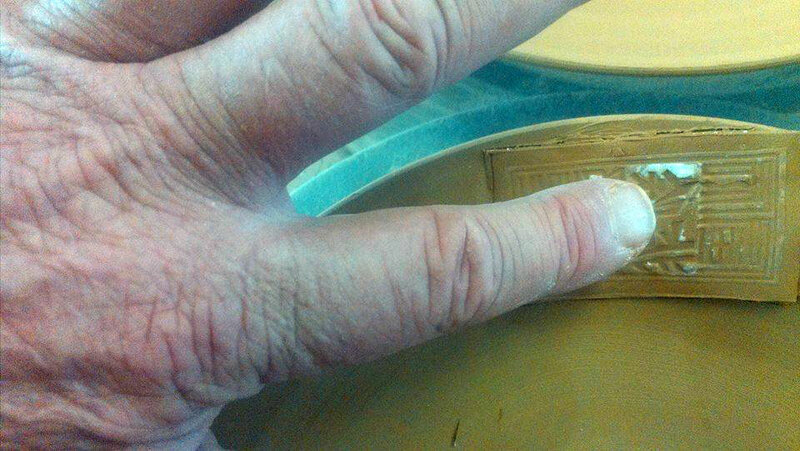 When it comes to making a pottery lid that fits – it is an art that one masters over time. Inset lids- that sit on an internal ledge formed when throwing the pot. Domed lids- also sit on an internal ledge or with a seating on top of the rim. They tend to be elegant in shape and stronger, so are good for larger pots. Personally I make and prefer the domed over-edge lid. I make sure it fits well and barely shifts on its seating, and I like it to extend slightly over the edge of the pot, especially if I’m making a casserole. It works very well for teapots too! I often combine a flat inset lid style with the seating of a domed over-edge lid, which makes for a very good fit. Occasionally when I make small lidded jars that are cylindrical, I use a flat inset lid with a knob on top – nice and simple! You need much skill (and experience) to throw pots that achieve an acceptable standard and have high artistic merit. 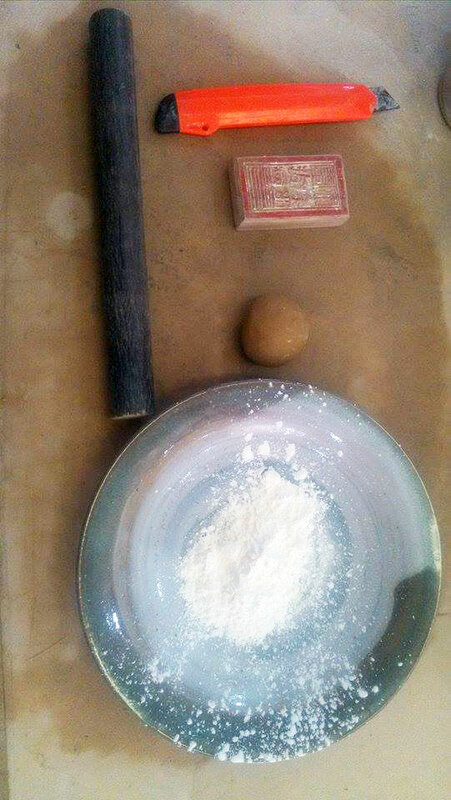 During the process of throwing you turn or twist a ball of clay, gently pulling it upwards to create a hollow shape. You do this by placing a ball of clay in the centre of your turntable, which you then rotate. The trick is to press down on it in perfect rotational symmetry ( knows as centring the clay) , it’s probably the hardest skill to master as a potter, but necessary before taking the next steps. When you’ve mastered centring, you will be able to progress into opening – making the centre of the ball hollow; flooring – which ensures that the inside of the dish is flat or rounded; pulling – which shapes the walls to the right height and thickness; and finally trimming or turning which removes excess clay, refining the shape and creating a foot if necessary. You can then further modify your pieces by attaching handles, lids, feet and spouts. My experience of teaching pottery-making has taught me that, generally speaking, four to eight sessions are needed in order to learn centring properly, another four to six sessions to learn the basic techniques of opening, and the same again for pulling. Photographer Ben Boswell picked up a camera while still at school, and what started off as a hobby became a way of life. In the early 1980s his interest in crafts, especially in ceramics and pottery, paved the way to photographing some 30 of the most influential potters of that time. The catalogue of images, which is as beautiful as it is impressive, includes Phil Rogers – salt-glaze and reduced stoneware specialist whose work graces museums worldwide; David and Margaret Frith – husband and wife team amongst Britain’s most respected and world renowned potters; David Leach OBE – son of Bernard Leach ‘the father of British studio pottery’ – who subsequently managed ‘Leach Pottery’ and others as far afield as Japan. As is often the case, family life took precedence, and in 1982 Ben began selling professional photographic equipment. For almost 30 years his beloved ‘potters project’ was shelved. Now he has returned to the project with renewed enthusiasm, loves every minute, and is working on publishing a book too. 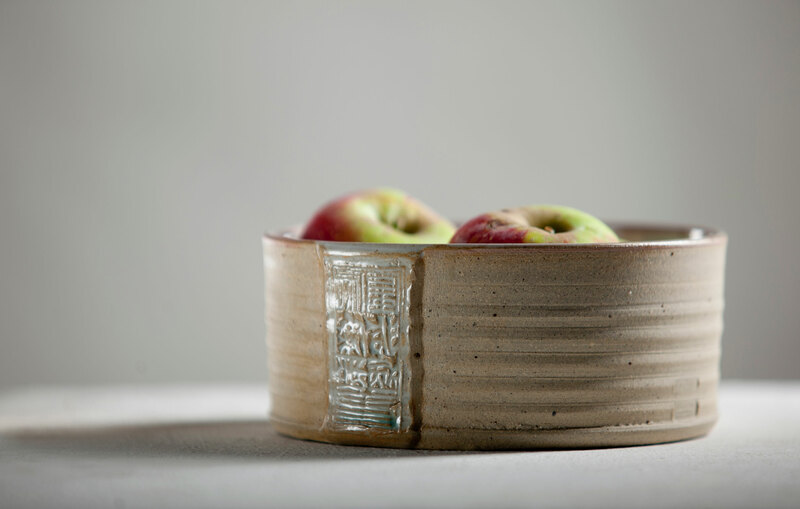 Apart from his website which catalogues his extensive body of work, Ben now has a FB page, regularly updated with both current and catalogued images, providing fascinating and invaluable insight into potters and pottery alike. Glazing is one of the most frustrating aspects of making pottery, but once mastered it is also one of the most rewarding. Ultimately it is necessary to use metal oxides, stains, underglaze decoration, commercial or self-made glazes, and in some instances overglaze enamels and lustres in order to give your ceramics colour, depth and complexity. Colour gives pottery an identity that, in many cases, can be even more obvious than the identity achieved through form. Decoration applied beneath a glaze in pottery is known as underglaze. Underglazes can be applied by brushing, pouring, dipping, spraying, sponging – pretty much anything goes. They add colour and depth to your work, and are ideal for detailed decoration. Another option is to use clay slips or engobes, which are, in fact, ‘runny clays’ with added colouring oxides or commercial stains. Slips are used on the bare clay whilst it is still wet or damp, and their colours bleed into the glaze when fired. Lastly, potters use what is known as an overglaze enamel or lustre, applied on top of the glaze and then fired at low temperatures. These are generally used as for decoration.. Personally, I tend to use spirals or texturing as the background for decorations. I either use glazes that emphasize these details, or engobes that are actually integrated in them, and then apply a glaze that will seal the item and make it food safe while giving it an overall colour. I mix all my glazes, some from my own recipes achieved by trial and error, and others from books that I have slightly modified to meet my needs. I choose colours that, I feel, suit my shapes and look equally good on the shelf or on a plate with food. My signature glaze is, of course, my blue glaze, which I use on its own or combined with white. It reminds me of the Mediterranean Sea in spring or at the end of summer, and since I created this one myself, I feel that this colour is me, in a nutshell.